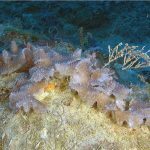 This is the fourth in a series of posts on Thraustochytrids. 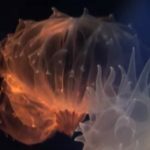 This is one of the more exciting posts about these generally unseen organisms in our aquarium, or maybe we have been seeing them after all. Perhaps one of the most exciting potentialities with Thraustochytrids is their influence on coral color. 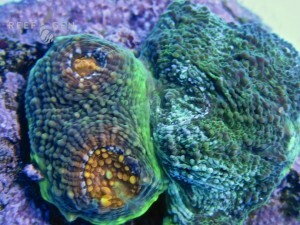 Color is the single most important factor regarding the value of coral in the market place. Brown coral are not highly sought after, add some color to the mix, and the coral are more desired. Certain colors in certain coral can increase the value by as much as ten times. 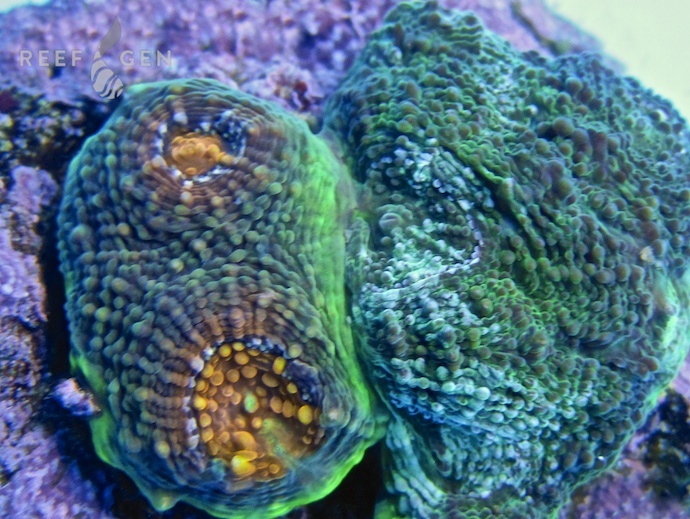 We know in the hobby various factors that can influence coral color. Proper light intensity of the correct spectrum is required, as well as low nitrates and phosphates, and high enough levels of other elements such as calcium, potassium, iron, and proper alkalinity. We all know that zooxanthellae influence color, they are pigmented brown and their absence leads to coral bleaching. Coral themselves also produce fluorescence proteins that add to the brown color pallet provided by the zooxanthellae. These proteins provide much of the rainbow of hues we are familiar with in coral. There has been some current work on Thraustochytrids, in as of yet unpublished experiments where natural fluorescence has been found in some Thraustochytrids assoiciatted with coral. The have found green and sliver proteins in Thraustos, and it’s possible in the future researchers will discover Thraustos are producing other colors. I strongly suspect that there is an orange fluorescent protein producing strain as well. If this is indeed the case, that Thraustos produce their own fluorescent proteins, then this could be a serious factor in the development of color in aquarium coral. Many reef aquarists have witnessed “jumping colors” in our reef aquariums. 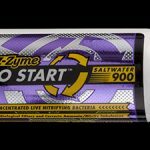 Zooxanthellae swapping is known to happen in nature, and in aquariums. 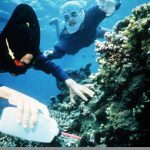 However all zooxanthellae is brown, so the clade or strain of zooxanthellae alone should not change color, unless there is feedback between the coral and zooxanthellae regarding what fluorescent proteins the coral makes. Thraustochytrids producing their own fluorescence and colonizing nearby coral in our aquariums is a highly plausible, and simpler explanation for this color change. 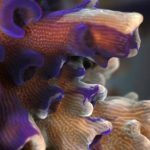 I have been cultivating several varieties of coral with this potential in mind and have been seeing very interesting results. I plan to keep researching further these fascinating protists, and I hope everyone in the hobby who can say Zooxanthellae, can also pronounce Thraustochytrid.